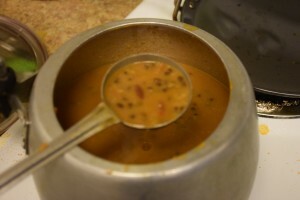 A popular dish of ALL INDIAN DHABAS- Dal makkhani is a moderately or low spicy dish which is made and consumed in large quantities in every Indian restaurant. 1. 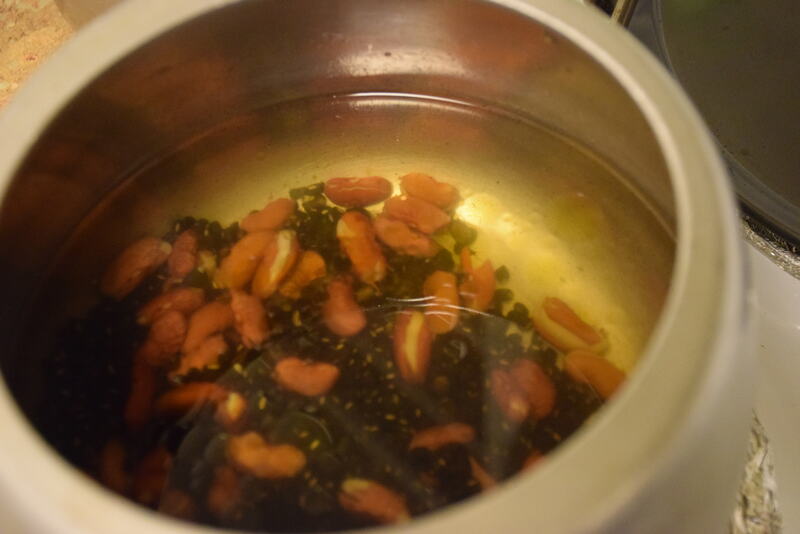 Soak rhe urad dal and rajma in hot water for 1/2 hr or in room temperature water for 1 hr. 3. Now ccok this dal for 1/2 an hr. On 1st whistle lower the heat and turn off the heat on 2nd whistle. This quantity takes 20 mins to cook. 4. 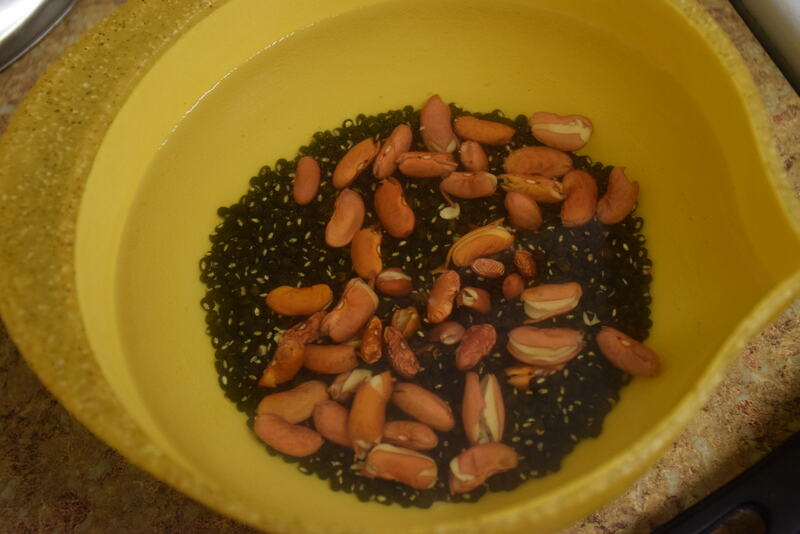 In the meanwhile, prepare the tadka for the dal. 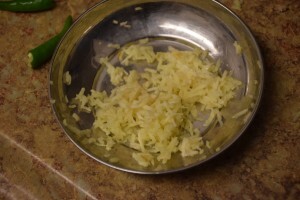 For this peel one onion and slice it in big chunks. Also remove the eye of tomato and cut in big pieces . 5. Now take a wok ,add cooking oil in it. 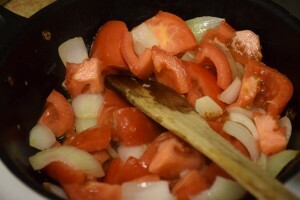 Add the onions,tomatoes,ginger and garlic to it. Let them cook for 5 mins while our dal is boiling. 6. Also finely chop the green chillies,cilantro(dhania) for garnishing. 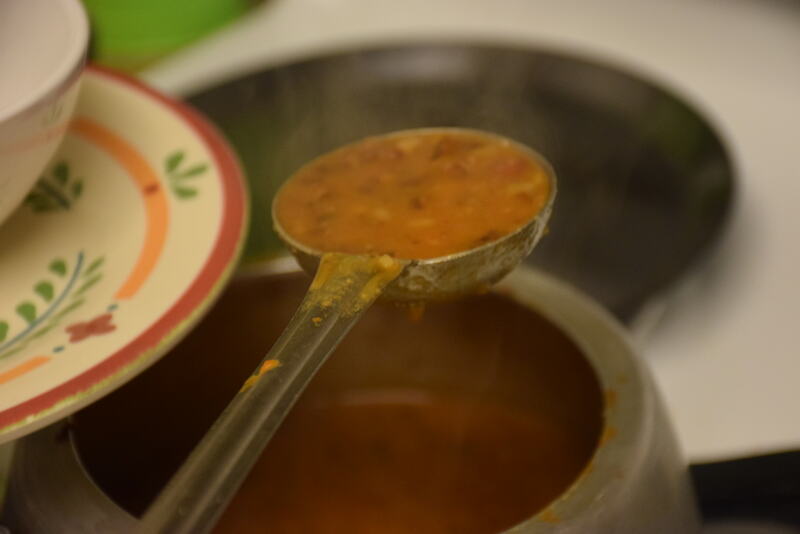 When the tomatoes ooze out enough water in the wok , and they have cooked well,turn off the heat and bring it to the room temperature. 7. 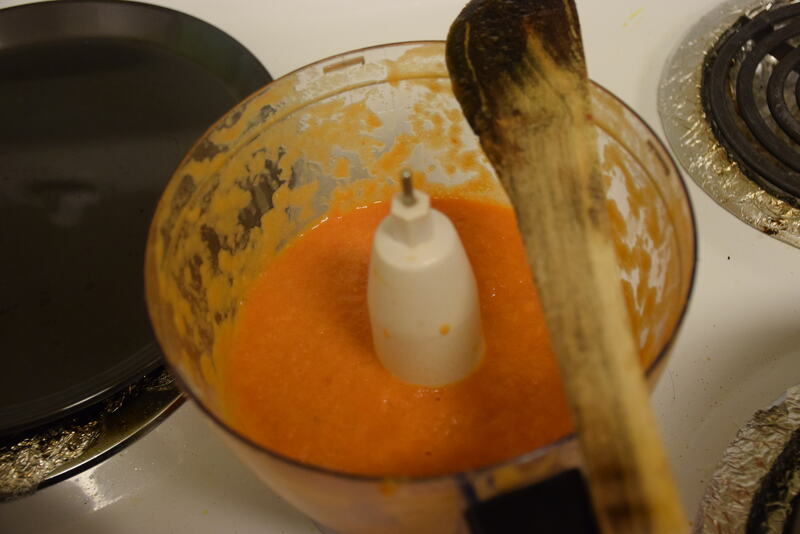 Now add the cooked onions,tomatoes,ginger-garlic to the grinder/mixer and puree them well. 8. In the meanwhile turn on the heat under wok again and add butter to it. 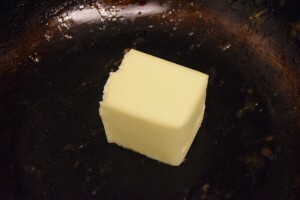 To avoid burning of butter,add 1 tbsp oil to it. 9. Once it is melted,add jeera ,hing to it. 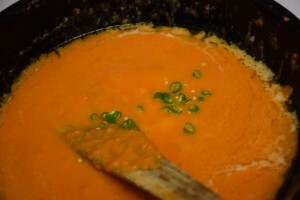 Pour in the puree you have just made and sitr fry it. Now add the chopped chillies and ohter spices like fennel powder, coriander powder, garam masala, kashmiri red chilli powder, turmeric and salt to taste. I usually skip the garam masala and hot spices,since we love it on the sweeter side. 10. By this time the pressure of Dal would have released ,so add it to the tadka or vice-versa. Let it cook for another 5 mins. 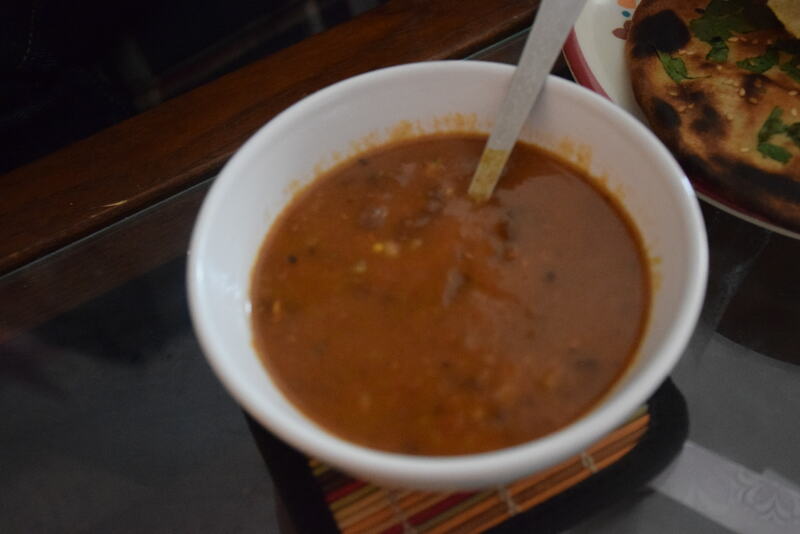 Just see the color of cooked dal, Isn’t it pure brown? 11. You may again pressure cook it for 2 mins till you get one whistle. But adjust the quantity of water before that, otherwise it may get stick and get burnt at the bottom. 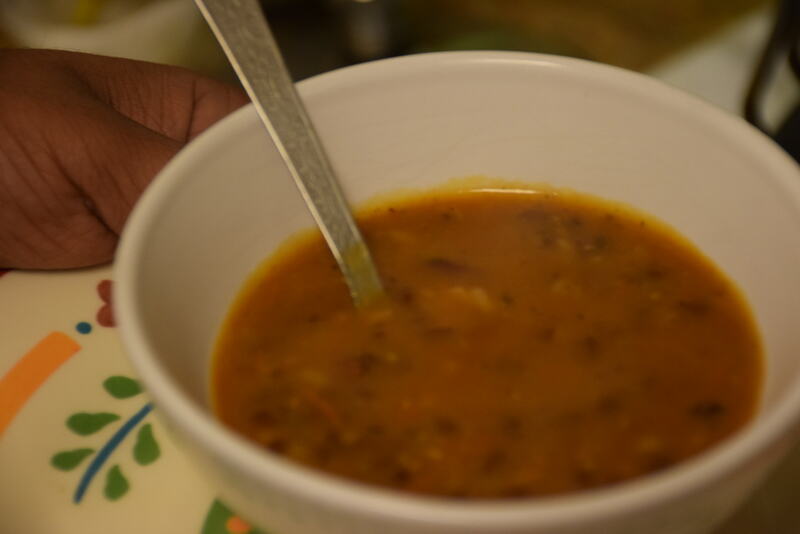 Most of the people like to cook it uncovered until all the flavors are mixed well and there is an even layer of dal which is visible . 12. 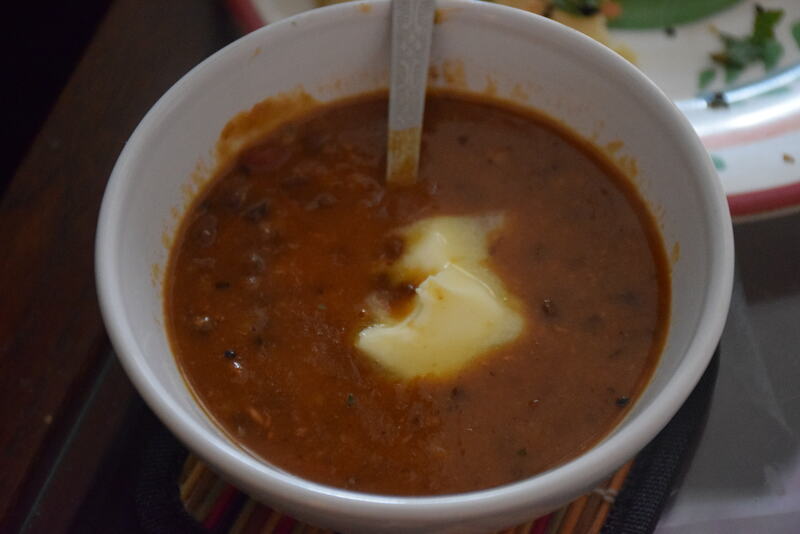 Since this dal is little on the semi-solid side , hence it needs sufficient cooking and assimilation of all the spices in it. However, if you have sour tomatoes or you wish to add cream then add it just before adding water to it in 2nd last step. 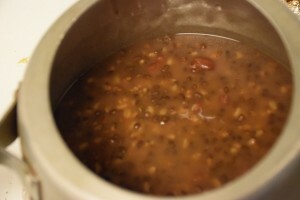 You need to continuously stir after adding cream,lest it may curdle due to the spices present in the dal. Also don’t add red or green chilli before adding cream and add them in the end when the cream has dissolved in it completely. Hope ,you would love this recipe. Please share your experience and suggestions here! 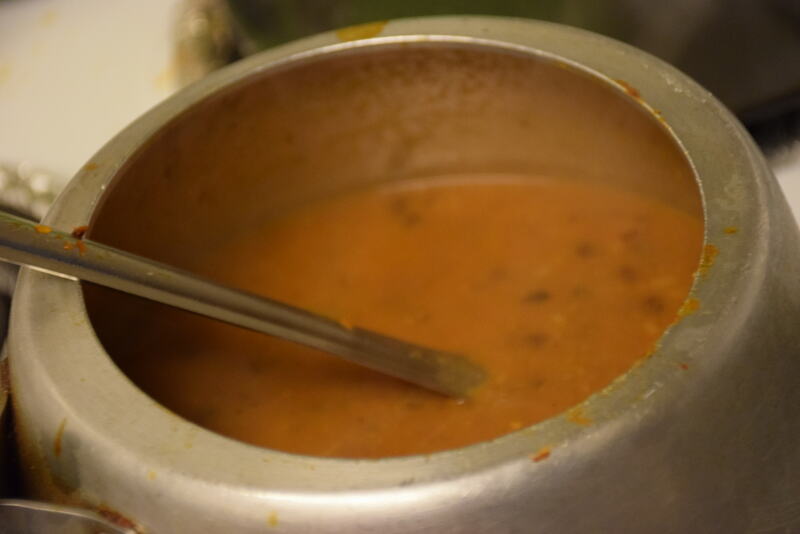 This entry was posted in Food, Main Course, Recipes and tagged buttery, cream, dal, hing, Makkhani, malai, naan, onion, paste, puree, tomato, water.